Developer Flexibits has issued an update to Fantastical’s iPhone, iPad and Apple Watch apps this morning. This premium calendar and reminder replacement software for iOS, watchOS and OS X now includes complete support for Japanese users across its iPhone, iPad and Apple Watch editions. More importantly, Fantastical 2.4 for iPhone now includes drafts, a handy new feature addition that makes it possible to multitask while adding new items quickly and easily. The update is rolling out as we speak and should be available in the App Store shortly. As a nice bonus, the fine folk at Flexibits have kindly provided more than a dozen promo codes for you, our readers, to redeem so read on to potentially grab your free copy of Fantastical. 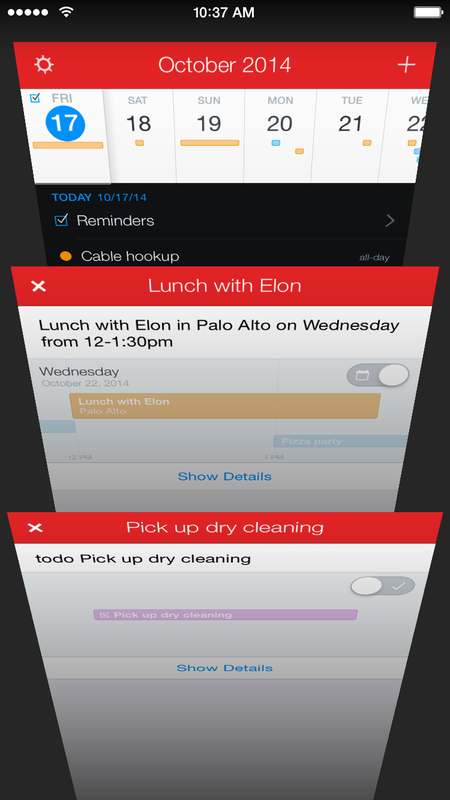 To convert new events or reminders into drafts in Fantastical 2.4 for iPhone, just swipe down on them. This is similar to the iOS 8.4 Music app’s mini-player or the drafts feature in iOS Mail with one major distinction: the interface for drafts in Fantastical 2.4 is similar to Safari’s tab browsing feature, as illustrated on the screenshot below. Using drafts, it’s easy to multitask and explore your content in Fantastical 2 and return to your saved events at a later time. As mentioned before, Fantastical 2.4 for iPhone, iPad and Apple Watch is now fully localized in Japanese. Users in Japan can now enter events in their local language, using Fantastical’s awesome natural language processing or dictation. “We’re very proud to add Japanese support to all of our iOS versions of Fantastical,” said Michael Simmons, Co-Founder of Flexibits. Japanese support is in addition to the English, French, German, Italian and Spanish localizations found in past updates. 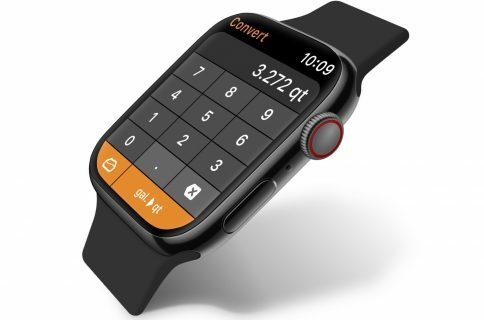 The iPhone app is optimized for the iPhone 5/5s/5c, iPhone 6 and iPhone 6 Plus screen sizes and includes a WatchKit component with a powerful Apple Watch app and a glance for your wrist. The Apple Watch app lets you view events and reminders in the friendly Fantastical list and the glance shows you the upcoming event or reminder. Fantastical 2.4 for iPhone is $4.99 in the App Store. The iPad edition of Fantastical is an additional $9.99. Fantastical for Mac is currently $39.99 in the Mac App Store, a 20 percent discount for a limited time. Flexibits have provided us with five promo codes for Fantastical’s iPhone edition and an additional eight codes for Fantastical for iPad. If you’re fast enough, you can grab a free copy of Fantastical for your device and check out this fine calendar and reminder replacement for yourself. 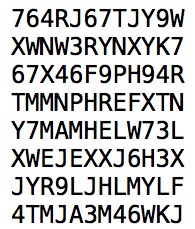 You can manually paste a promo code into the Redeem section of the App Store on your iPhone, iPod touch or iPad, or iTunes on your Mac or Windows PC.